East Huntspill Community Primary School is a primary school for children aged between 4 and 11. The original school buildings date back over one hundred years, and the school celebrated its centenary in 1994. The school has three classes and East Huntspill pre-school is located on site. There is also a hall for Collective Worship, PE and other whole school activities. As well as the playground, we are also fortunate to have two pleasant garden areas, one which accommodates 'forest school' as well as a quiet area, complete with benches where children can eat lunch on sunny days. Our school is a community in which children are happy and make friends easily. We are very much at the heart of the village and seek opportunities to further develop links with the community. 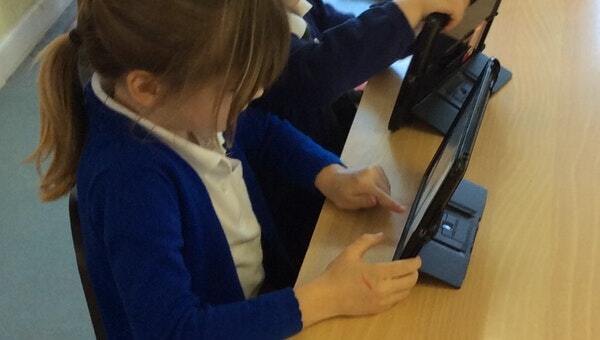 We would love to provide each class and the school hall with a visualiser and to increase the number of iPads we can offer the children, as well as purchase more educational apps. These items would benefit the whole school across all areas of the curriculum. Visualisers would be a new form of technology within our school, allowing the children to see their own work, photos, story books and other learning resources on the interactive whiteboard. Teachers would be able to model concepts and inspire children's learning by viewing and exploring the things around them. We could also use it to record children's plays/shows. It would be a wonderful tool to support visually impaired children by displaying items in larger text. Teachers would be able to develop children's skills in editing their work by demonstrating it clearly using the visualiser. We could also use it to celebrate children's achievements during assemblies by showing medals, certificates or pictures. If we're fortunate enough to raise more than our target, then we would also like to buy educational apps, more iPads and iPad covers.